One can never have too many bikinis. Bikini Empire was created after its founders (twin sisters Monica and Kelsey Rush) felt the need to create the perfect bikini – functional, sustainable, and cute. Bikini Empire produces their entire collection in Vancouver, Canada, and they attribute beautiful designs, high quality fabrics, and valuable employees to all of their success. One can also never have too many pairs of swim shorts. Apolis actually means “global citizen”. 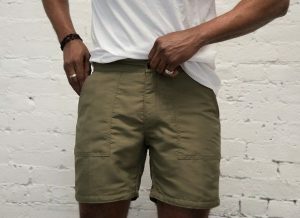 Their swim shorts are handcrafted in California, and they are a transitional piece that can be worn both in and out of the water. Apolis models their business on the basis of “advocacy through industry”, which means that they believe people from across the world can live better lives when they are given equal access to the global marketplace. Gurus sandals are completely eco-friendly, and they are made primarily from natural rubber. These shoes feature a unique and traditional Indian design, and they avoid the ever-present hassle of “scrunching toes” in sandals. The best part? Gurus is partnered with Trees for the Future, and they plant a tree for every pair of sandals purchased. We absolutely love our Gurus! Lay on the beach in style this summer. 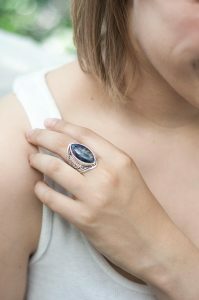 Nomadix follows the mantra “own less, do more”. 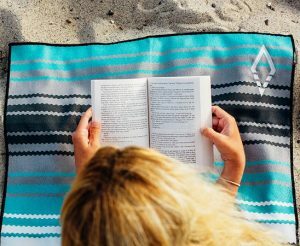 Their towels are designed to be versatile and long-lasting, so you can use them at the beach, yoga class, a camping trip, or wherever else you may please. They are made from 100% recycled material and they are quick drying, slip resistant, anti-microbial, lightweight, durable, and even reversible! You need to protect your skin from that pesky sun. Sea & Summit offers certified organic sunscreen made from 6 raw simple ingredients. Founder Ryan Kell was working as a lifeguard and sea-kayak guide, which required a fair bit of lathering on sunscreen. He didn’t feel comfortable about the amount of chemicals being put onto his skin, so he decided to create his own variation, sans chemicals. 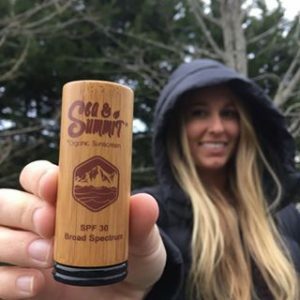 Sea & Summit continues to research and find better ways to make their products and packaging even more sustainable. Your eyes need protection, too! 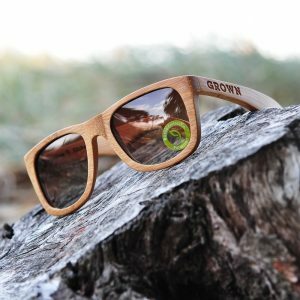 Grown Sustainable Wooden Eyewear sells sunglasses handcrafted from durable bamboo and hardwoods such as dumu wood and zebrawood. For every item purchased, Grown Sustainable Wooden Eyewear will fund sight-restoring surgery for one individual, or eye exams for 12 children. 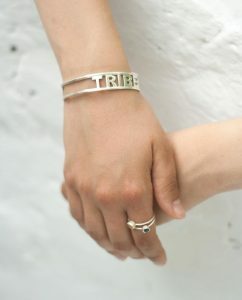 They want their customers to feel as though their purchasing choices are making a deep and meaningful impact to at least one person in the world. The most important thing to remember this summer is to stay hydrated. 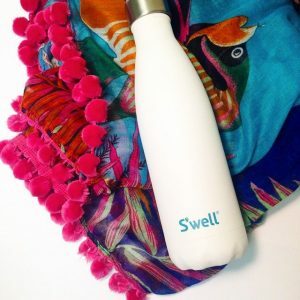 S’well water bottles are everywhere these days, and for good reason. They hope to eliminate unnecessary waste by putting an end to the dreaded plastic water bottle. by Their non-toxic stainless steel water bottles keep any drink cold for 24 hours, or hot for 12 hours. S’well is also a proud supporter of the U.S. Fund for UNICEF, and they regularly donate to help provide clean water to the world’s most vulnerable children.